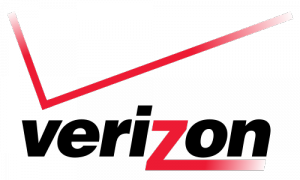 In a recent report on Verizon Communications Inc. (NYSE:VZ) , I highlighted the interesting moves being made in the telecom space. At that time there were rumors that Verizon and AT&T Inc. (NYSE:T) are preparing a joint bid for the European telecom giant Vodafone Group Plc (ADR) (NASDAQ:VOD) . Those rumors were denied by the involved parties but according to recent updates Verizon Communications is all set to independently buy Vodafone’s stake in Verizon Wireless. Recent reports indicate that Verizon Communications Inc. (NYSE:VZ) has finally decided to act on its ambitions and is preparing for a $100 billion deal to take full control over Verizon Wireless. The deal is still in the initial stages and the company has hired a team of lawyers and bankers to review its options. Vodafone Group Plc (ADR) (NASDAQ:VOD)’s 45% stake in Verizon Wireless should fetch around a $100 billion, and Verizon plans to finance this deal with an equal mix of cash and stock. Vodafone’s stake in Verizon Wireless is one of its most profitable assets, so it’s still no guarantee if the company is ready to part with it. The first preference of Verizon Communications Inc. (NYSE:VZ) will be to make a friendly bid and hope that Vodafone Group Plc (ADR) (NASDAQ:VOD) is ready to negotiate. If Vodafone refuses the offer Verizon Communication will take the bid public. There is still not official confirmation of the deal from either party. Verizon Communications Inc. (NYSE:VZ) is not the only player involved in M&A activity, there is industry wide consolidation going on in the telecom space, and there is some exciting short term profit taking opportunities for investors. All major players in the telecom industry are involved in speculative or actual consolidation news. Another major offer is the multi billion dollar acquisition of the telecom giant Sprint Nextel Corporation (NYSE:S) . The initial offer was made by Japanese Softbank Corp; the company had offered to buy a 70% stake in Sprint for $20 billion. The American Dish Network Corp has since then made a competing offer for Sprint. Dish is proposing a $25.5 billion deal to acquire the company. In a recent statement Softbank has made it clear that they are not interested in a bidding war and do not plan to raise their bid further. Recent information reveals that the Dish bid will most likely be accepted as it offers Sprint’s shareholders a 13% premium to Softbank’s offer. T-Mobile US has also been in the news during the last couple of years due to consolidation events. Recent reports indicate that Deutsche Telekom AG’s unit MetroPCS Communications Inc (NYSE:PCS) is ready for merging with T-Mobile after a positive Shareholder vote. Shares of MetroPCS have risen almost 7% on the merger news; the company has a market cap of approximately $4.4 billion. Pfizer Inc. (PFE), Wal-Mart Stores, Inc. (WMT): The Danger of Low Dividends Verizon Communications Inc. (VZ), AT&T Inc. (T): This Outlook Was Disappointing... Hedge Fund News: David Shaw, Jim Simons, Netflix, Inc. (NFLX) Vodafone Group Plc (ADR) (VOD), AT&T Inc. (T) And The World’s Best Dividend... NYSE Euronext (NYX) & The Most Famous Building on Wall Street Apple Inc. (AAPL): How’s It Still Selling So Many Old iPhones?